What is equity release? Would you like to know more about the positives and negatives along with whether it is the right option for you? At DMFS we can offer considered, measured advice for your individual circumstances. Equity release products have grown in popularity over the last few years. It is the process by which clients can access the capital that is presently in the home. At DMFS we have been giving impartial and measured advice for many years. Equity release, as with most financial decisions, has its positives and negatives. DMFS will discuss both with you and we are happy to include any of your family members or close friends in our discussions. On the positive side, an equity release mortgage enables you to remain living in your home until such a time as it becomes impractical to do so. This can be very reassuring, especially if it is your family home which you have lived in most of your life. The equity released is tax-free money that you can receive in a lump payment or over time as would be most beneficial to your unique requirements. You could use this money to provide home improvements to assist you in remaining in your own home. You could use it to help out other family members, children or grandchildren who need help with a deposit for their own home. If appropriate you can have the option to repay some or all of the mortgage over time. At DMFS we will discuss all of your options in full and as well as explaining the benefits, will also explain the negatives of equity release. 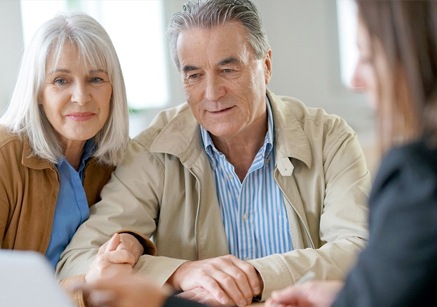 DMFS will discuss the implications of reducing the value of your estate with you, as well as any implications that your equity release may have on future entitlement to any state benefits. DMFS will clearly explain the financial repercussions should you decide to repay early, or to pay interest on your equity release. DMFS will also help you to explore other options. At DMFS we never pressure anyone into an equity release mortgage if it is not the right financial step for them. DMFS will take the time to assist you in potential alternative options to help provide you with the right solution. At DMFS we pride ourselves on our moral and ethical stance and we are always happy to talk you through all the details of equity release. Rest assured that we will provide you with the knowledge to make a carefully considered decision, but the final decision will rest with you.